Catering Operations Assistant Create Community Through Food With Us! The Bi-Rite Family of Businesses is a learning space with endless opportunity for education and on-the-job-training about community building, service, and of course, Good Food. As a Certified B Corporation, we believe it's our responsibility to build meaningful relationships with each part of our extended family: the food we make and sell connects our staff, our guests, our producers, and the environment. Named one of Forbe's 25 Best Companies in America, our team is comprised of entrepreneurs, dreamers, doers, artists, activists, and, of course, food lovers! If you're a people person with a passion for Good Food and heartfelt service, we invite you to create community through food with us! The Opportunity: The Catering Operations Assistant works with the Catering Operations Supervisor to ensure all catering events are fulfilled with the highest standard of service to our guests. Together with the Catering Sales, Kitchen, and Catering Delivery teams, they work to make each event a success. The Catering Operations Assistants' primary responsibility is to ensure all catering orders are accurate and is on-time for our couriers throughout the day. They prepare catering equipment pack-ins from full-service events, including rebuilding kits, making sure all catering equipment is washed and sanitized, and keep all catering equipment in our warehouse inventoried, organized and tidy. They also manage ordering and upkeep of catering supplies, brewing coffee for events and staging beverages for every order. This is a fast-paced, physical role that requires a lot of attention to detail. The Catering Operations Assistant works directly with the Catering Operations Supervisor and the Director of Catering Services to achieve department goals. With the Director of Catering Services, they create a cohesive Bi-Rite leadership team that supports the Bi-Rite Mission, Service Mission, Training Mission, Product Mission, 2024 Vision and Core Values of Love, Passion, and Integrity. Your Expertise: Communicates Effectively - Is effective in a variety of communication settings: one-on-one, small and large groups or among diverse positions levels. Action Oriented - Takes on new tasks /assignments with a sense of urgency, high energy and enthusiasm. Optimizes Work Processes - Knows or is the most effective and efficient processes to get work done, with a focus on continuous improvement. Pro-active and Anticipates Operational Needs - always working several days ahead and works to create a smooth running process for a high-volume catering business. Accepts Constructive Criticism and distills feedback into actionable improvements or edits to designs Strong organizational skills and attention to detail Team player who maintains a positive, friendly, and productive relationship with all levels of the business. California Food Handler's Card , required within 30 days of hire date. Physical Ability to stand during 90% of shift and lift over 20-50 pounds throughout the day. Safe and proper lifting skills are imperative. Availability - Able to work weekends, weekdays, nights, mornings and Holidays. The Perks: Our unique staff culture and generous benefits package sets us apart from other food businesses. We offer a 25% (alcohol 20%) discount on purchases throughout the businesses, a meal provided with your shift, medical, dental and vision plan after 60 days of employment, a 401K retirement plan with employer match, access to 18 Reason classes and the opportunity for career advancement. And of course, a team of mindful, smart and happy people to work with every day! To apply submit your resume and cover letter. We'd love for you to take the time to write a few sentences telling what you know and love about the Bi-Rite Family of Businesses, your interest in working at Bi-Rite, and what you hope to learn by working with us. Bi-Rite Family of Businesses is an Equal Opportunity Employer Apply here. Bi-Rite is a learning-community, with endless opportunity for on-the-job training and education about food and service. Our unique staff culture and generous benefits package sets us apart from other food businesses. We offer a 25% discount on purchases throughout the store, a medical and dental plan after 60 days, a meal with your shift, a 401K retirement plan after one year of employment, access to 18 Reasons classes and the opportunity for career advancement. We invite you to become part of our family! Our Exciting Work Environment The TD Garden is home of the Boston Bruins (hockey) and Boston Celtics (basketball). The state-of-the-art TD Garden is a year-round, 19,600-seat arena, fully equipped with three private restaurants, 104 executive suites, 2,400 club seats, a multi-million dollar video scoreboard and our newest addition, complete 360° LED technology. Sportservice currently operates all retail stores, food and beverage and culinary at this location. Please visit for more information. The Opportunity The Assistant Concessions Manager will be responsible for assisting in the effective overall operations of Concessions and Vending. Specific responsibilities include: Direct, implement and maintain a guest service and management philosophy that serves as a guide to respective team members. Direct the activities of shift supervisors, unit associates, coordinate scheduling of associates to provide adequate staffing, instruct associates on policies, procedures, and duties; handle disciplinary matters in compliance to Delaware North Corrective Counseling policy. Manage the development of associates; supervise the scheduling and training of Concessions and Vending associates Maintain daily concessions operations - both front of house and back of house, during event and non-event days; including opening /closing of concessions operation, inventory management maintaining health department checklists, maintenance of equipment, and overall policy compliance. Uphold and enforce GuestPath Guest Service standards through daily reminders, training, observation, follow-up; investigate food quality and service complaints, log service recovery issues. Prepare various operating and reconciliation reports. Enforce compliance with variance issues and report all to Concessions Manager to resolve. Conduct meetings to update associates on daily goals and objectives. Maintain positive client and customer relations. Prepare various operational reports and complete other duties as assigned. Qualifications Good working knowledge of concession procedures and activities normally gained through 3-5 years experience in the field Management experience Knowledge of and experience with inventory control Familiar with standard foodservice equipment The ability to demonstrate excellent customer service focus and building relationships with service associates Union experience preferred Who We Are Take your career beyond the ordinary-to the extraordinary. At Delaware North, you'll love where you work, who you work with, and how your day unfolds. Whether it's in sporting venues, casinos, airports, national parks, iconic hotels, or premier restaurants, there's no telling where your career can ultimately take you. We empower you to do great work in a company with 100 years of success, stability and growth. If you have drive and enjoy the thrill of making things happen - share our vision, grow with us. Delaware North is one of the largest and most admired, privately-held hospitality companies in the world. 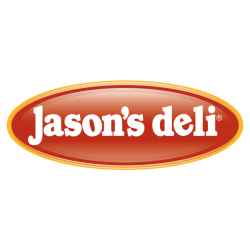 Founded and owned by the Jacobs family for nearly 100 years, it is a global leader in hospitality and food service with operations in the sports, travel hospitality, restaurants and catering, parks, resorts, gaming and specialty retail industries. Delaware North has annual revenue exceeding $3 billion with 60,000 employee associates. To learn more, visit . All applicants will be subject to a pre-employment background check and may be subject to a pre-employment drug test depending upon the position and/or client requirements. Delaware North Companies, Incorporated and its subsidiaries consider applicants for all positions without regard to race, color, religion, creed, gender, national origin, age, disability, marital or veteran status, sexual orientation, or any other legally protected status. Delaware North is an equal opportunity employer. #LI-SD1 Company Description: Delaware North is one of the largest privately held hospitality companies in the world. Founded in 1915, Delaware North has global operations at high-profile sports and entertainment venues, national and state parks, destination resorts and restaurants and airports. With approximately $3 billion in annual revenue, the company's 55,000 employee associates are dedicated to creating special experiences one guest at a time in serving more than a half-billion guests annually. Learn more about Delaware North, a global leader in hospitality and food service, at . Our Exciting Work Environment Petco Park Grounded in a foundation of family ownership for over 100 years, Delaware North has earned a reputation as one of the most admired family-owned hospitality companies in the world. At Petco Park, we provide food and beverage concessions, luxury suites catering, and retail for our partner, the MLB's San Diego Padres. We're working behind the scenes and on the front lines - making each guest experience, moment and memory the best it can be. For more information, please visit Position Details Job Description: The successful candidate will assist the concessions manager in overseeing the concessions department operation on a profitable basis. Specifically: Coordinate and supervise activities of employees, supervisors and volunteer group members. Focus training associates in company policies and procedures and ensuring quality employee performance and customer service. Ensure compliance with federal, state and local regulations regarding liquor, sanitation, payroll, employment and EEO. Verify sales reporting and cash handling and prepare various cost and operational reports as required. Provide and administer effective system for cash and maintenance of inventory levels. 1-3 years management or supervisory experience in the food service industry, preferably with prior concessions experience. Knowledge of accounting policy and procedures. Strong commitment to customer and client service. Ability to analyze data and make decisions. Demonstrated initiative, leadership and team building skills are essential. Take your career beyond the ordinary - to the extraordinary. At Delaware North, you'll love where you work, who you work with, and how your day unfolds. At locations around the world that range from awe-inspiring to action-packed, you'll have the satisfaction of sharing your passion for what you do with colleagues dedicated to achieving the same goals. If you have drive and enjoy the thrill of making things happen, join us. We'll help you build a career that lets you grow how and where you want. Are you ready to bring your career to life? This position is located at PETCO Park, the current home of the San Diego Padres. Sportservice at PETCO Park is the premier provider of concessions, premium services, catering and retail. This facility holds 46,000 spectators at any given event. Projected revenues are approximately $36 million. Please visit for more information. A global leader in hospitality and food service, Delaware North Companies, Inc. is one of the largest privately held companies in North America. The company has a strong reputation in its industries - hospitality, food service, travel and tourism, retail, gaming and entertainment- with more than 100 locations in the United States, Canada, Australia, New Zealand and England. Visit . Delaware North Companies, Incorporated and its subsidiaries consider applicants for all positions without regard to race, color, religion, creed, gender, national origin, age, disability, marital or veteran status, sexual orientation, or any other legally protected status. Delaware North is an equal opportunity employer. Who We Are Take your career beyond the ordinary-to the extraordinary. At Delaware North, you'll love where you work, who you work with, and how your day unfolds. Whether it's in sporting venues, casinos, airports, national parks, iconic hotels, or premier restaurants, there's no telling where your career can ultimately take you. We empower you to do great work in a company with 100 years of success, stability and growth. If you have drive and enjoy the thrill of making things happen - share our vision, grow with us. Delaware North is one of the largest privately held hospitality companies in the world. Founded in 1915 and owned by the Jacobs family for more than 100 years, Delaware North has global operations at high-profile places such as sports and entertainment venues, national and state parks, destination resorts and restaurants, airports, and regional casinos. Our 55,000 employee associates are dedicated to creating special experiences one guest at a time in serving more than a half-billion guests annually. Delaware North operates in the sports, travel hospitality, restaurant and catering, parks, resorts, gaming, and specialty retail industries and has annual revenue of about $3 billion. Learn more about Delaware North, a global leader in hospitality, at . All applicants will be subject to a pre-employment background check and may be subject to a pre-employment drug test depending upon the position and/or client requirements. Delaware North Companies, Incorporated and its subsidiaries consider applicants for all positions without regard to race, color, religion, creed, gender, national origin, age, disability, marital or veteran status, sexual orientation, or any other legally protected status. Delaware North is an equal opportunity employer. Company Description: Delaware North is one of the largest privately held hospitality companies in the world. Founded in 1915, Delaware North has global operations at high-profile sports and entertainment venues, national and state parks, destination resorts and restaurants and airports. With approximately $3 billion in annual revenue, the company's 55,000 employee associates are dedicated to creating special experiences one guest at a time in serving more than a half-billion guests annually. Learn more about Delaware North, a global leader in hospitality and food service, at . Our Exciting Work Environment Hartsfield-Jackson Atlanta International Airport (ATL), better known as Atlanta Airport, is situated 7 miles south of the city center of Atlanta, Georgia. Since 1999, it has been the world's busiest airport, serving 88 million passengers annually. We currently have food and beverage concepts such as: Bojangles, Jamba Juice, Food Network Kitchen, Harvest & Grounds, Grindhouse Killer Burgers, 40/40 Club, Einstein Bagels, Freshens, Coffee Bean and Tea Leaf, Garbanzo Mediterranean Grill and more to come! The Opportunity The successful Multi Unit Assistant Restaurant Manager will assist the Restaurant Manager in the day-to-day operations in a multi unit environment Coordinate and supervise activities of employees and supervisory personnel; train employees in company policies and procedures; ensure quality employee performance. Verify sales reporting, cash handling and payroll accounting reports; prepare various cost and operational reports. Maintain positive customer relations by ensuring efficient, quality service and products. Maintain proper implementation of sanitation procedures and standards. Ensure that maintenance of all equipment is completed when necessary. Ensure effective operation of areas at all times Qualifications: Associates degree preferred with emphasis in business or food service management and 3 years direct food and beverage management experience a must! Knowledge of food preparation and inventory control procedures. Excellent oral and written communication skills. Basic organizational and mathematical ability and be familiar with operation of standard food and beverage equipment. Who We Are Take your career beyond the ordinary-to the extraordinary. At Delaware North, you'll love where you work, who you work with, and how your day unfolds. Whether it's in sporting venues, casinos, airports, national parks, iconic hotels, or premier restaurants, there's no telling where your career can ultimately take you. We empower you to do great work in a company with 100 years of success, stability and growth. If you have drive and enjoy the thrill of making things happen - share our vision, grow with us. Delaware North is one of the largest and most admired, privately-held hospitality companies in the world. Founded and owned by the Jacobs family for nearly 100 years, it is a global leader in hospitality and food service with operations in the sports, travel hospitality, restaurants and catering, parks, resorts, gaming and specialty retail industries. Delaware North has annual revenue exceeding $3 billion with 60,000 employee associates. To learn more, visit . All applicants may be subject to a pre-employment background and/or drug testing. Delaware North Companies, Incorporated and its subsidiaries consider applicants for all positions without regard to race, color, religion, creed, gender, national origin, age, disability, marital or veteran status, sexual orientation, or any other legally protected status. Delaware North is an equal opportunity employer. Company Description: Delaware North is one of the largest privately held hospitality companies in the world. Founded in 1915, Delaware North has global operations at high-profile sports and entertainment venues, national and state parks, destination resorts and restaurants and airports. With approximately $3 billion in annual revenue, the company's 55,000 employee associates are dedicated to creating special experiences one guest at a time in serving more than a half-billion guests annually. Learn more about Delaware North, a global leader in hospitality and food service, at .